H1N1 (aka swine flu) is shaping up to be a public relations disaster. While governments are touting the vaccine as available to high priority groups only, high-powered executives and sports stars are jumping the queue. Unionized staff at Toronto's Mount Sinai Hospital are calling for the resignation of its board of directors after members were given H1N1 vaccines meant to be reserved for health workers and those at high risk of complications. On October 26, the first day that H1N1 shots were available in Ontario, 65 members of Mount Sinai's board received their shots. Only 15 are high risk. Even before the vaccine shortage was announced on October 28, public clinics were not scheduled to begin in Toronto until a week after the board was vaccinated. "At the time it seemed like the right thing to do," said Dr. Donald Low, medical director of Ontario's public health laboratories and chief microbiologist at Mount Sinai. Low, who made the decision to vaccinate the board members, tried to justify his decision by noting that the goal of the high-risk clinics was to reduce wait times for vulnerable people, and there was no line at the hospital that day. Appropriate quote? I think not. Low should have simply apologized to the public and reaffirmed Mount Sinai's commitment to combat H1N1. Dr. Bob Bell, president of the University Health Network, justified the offering of the vaccine to everyone who works at Toronto General, Toronto Western and Princess Margaret hospitals, by reasoning that all their employees (including board members) are needed at a time of crisis. "Our analysis of the situation at University Health Network is that every individual who works in the hospital is essential to the hospital's functioning," Bell said. "And that includes our managers, our directors, our executives. Let's face it, we're making day-to-day decisions on how this hospital responds to this epidemic. Of all times, this is the time that hospital leadership is most necessary." 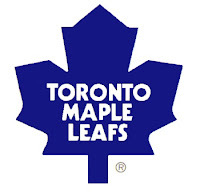 Despite their inability to win any games this season, the Toronto Maple Leafs are still considered valuable enough to be vaccinated ahead of high priority groups. The Leafs are not the only hockey players being vaccinated, though. Ranging from minor leaguers in Moncton to pros with the Calgary Flames, players are jumping the queue and getting the shot. Some teams are defending the action. The Maple Leafs said their players received the vaccine through "normal distribution," as any other doctor's office might provide. However, outrage has ensued and team PR teams have been forced to calm the masses. 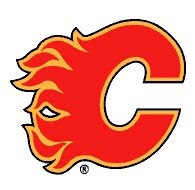 An Alberta government official identified as the most senior staff member involved in the Flames vaccination was fired on Wednesday, five days after players and their families were offered the vaccine at a private clinic. The province blasted this special treatment as "unacceptable." A statement put forth by Maple Leaf Sport and Entertainment said, "While all professional athletes are considered high risk to exposure and transmission of the flu due to excessive contact with other players, heavy travel requirements and public exposure, only certain players and staff have received the H1N1 vaccine." But Canada's chief public health officer refuted this claim, saying that there is a difference between being at high risk of getting the flu, and of it causing serious illness or death. 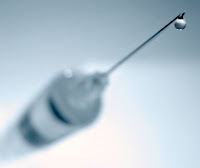 Ontario Health Minister Deb Matthews vowed to investigate whether celebrity athletes jumped the queue for the swine flu shot while other groups are being forced to wait. "I don't care who you are, how rich you are, how famous you are," she said. "If you're not in the priority group, get out of the line and let the people who are in the priority groups get their vaccination." What will you get the vaccine this swine season?